Salesforce is a popular CRM that allows businesses to manage their sales, marketing, and customer support efforts in the cloud. Salesforce is a popular CRM that allows businesses to manage their sales, marketing, and customer support efforts in the cloud. 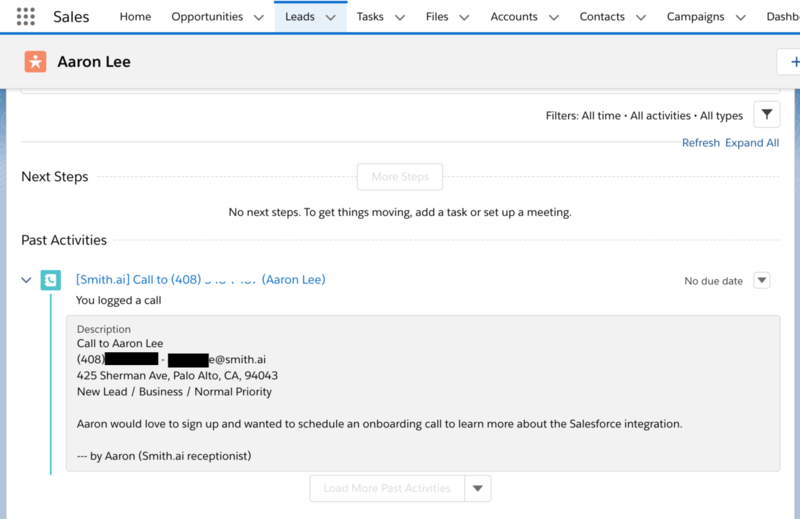 With Smith.ai's Salesforce integration, you can instantly see new and updated contact information for callers, as well as post-call summary notes, in your Salesforce account after every receptionist call.